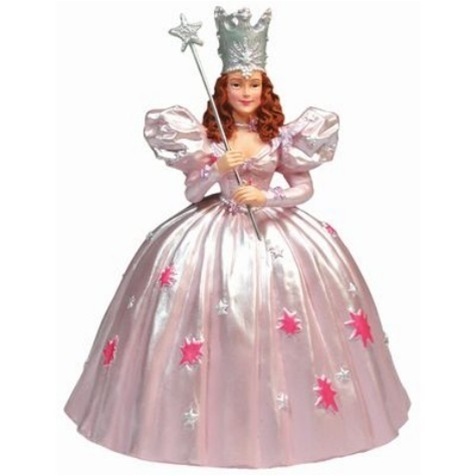 Glinda The Good Witch Figurine. a collectable figurine of glinda the good witch from the wizard of oz. Wallpaper and background images in the Le Magicien d’Oz club tagged: glinda good witch collectable figurine fan art. So pretty, her dress even looks like satin! It does,It's a lovely figurine !! cool collectable..... you might get me started tryin to collect things from the wizard of oz now, Berni. I seen some in Atlanta at the CNN centre, where there was a few nice things. Hope to find some a bit closer to home though lol. There are some beautiful collectables Mark i don't blame you,I may just do the same.Let me know if you find anything !